No need to rent anymore!! Move right into this bright and sunny 2 bedroom coop . 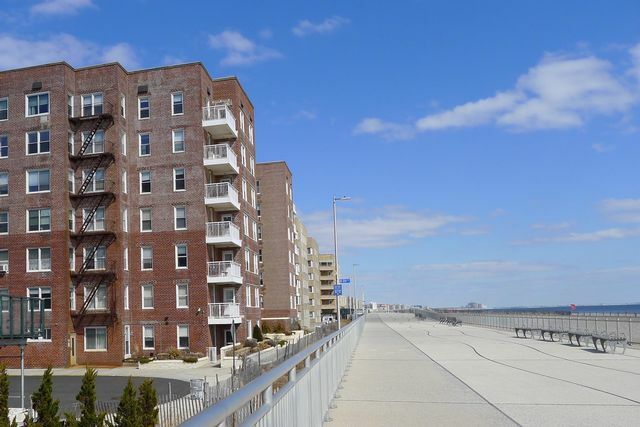 Located at the boardwalk and Beach 124 Street, in the PS 114 school district, steps to the ocean, transportation and walking distance to shopping and restaurants! Completely renovated with hardwood floors, granite countertops and wood cabinets in the kitchen, new bathroom with tub and tile trim- you even have your own private gated entrance! Ceiling height is an incredible 11 feet- feels so spacious you’ll never want to leave! The building has a brand new elevator, laundry area, bath and showers, and a live in super. Park in either the indoor or outdoor lot!